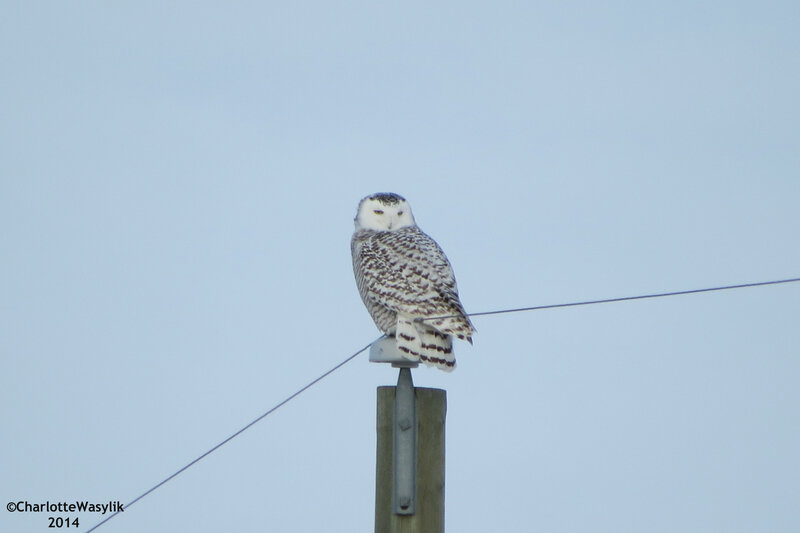 I was finally able to see a Snowy Owl this winter! 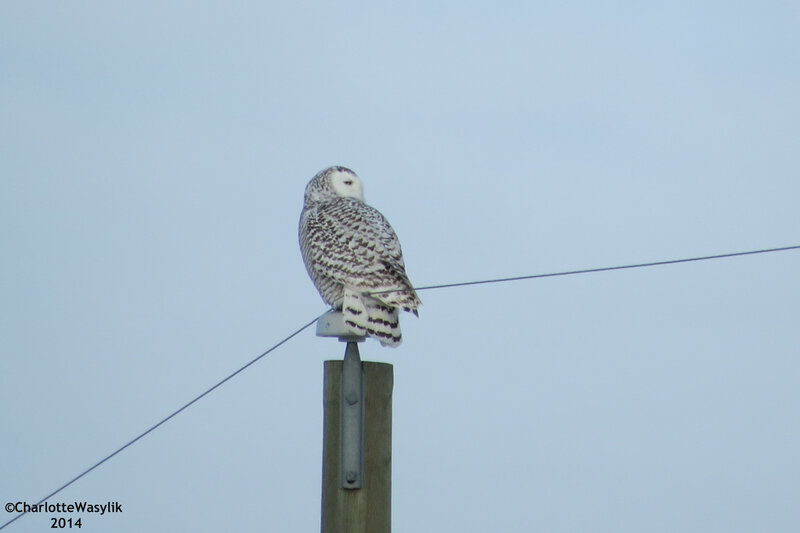 This owl was hunting near on farm near our house earlier this week. 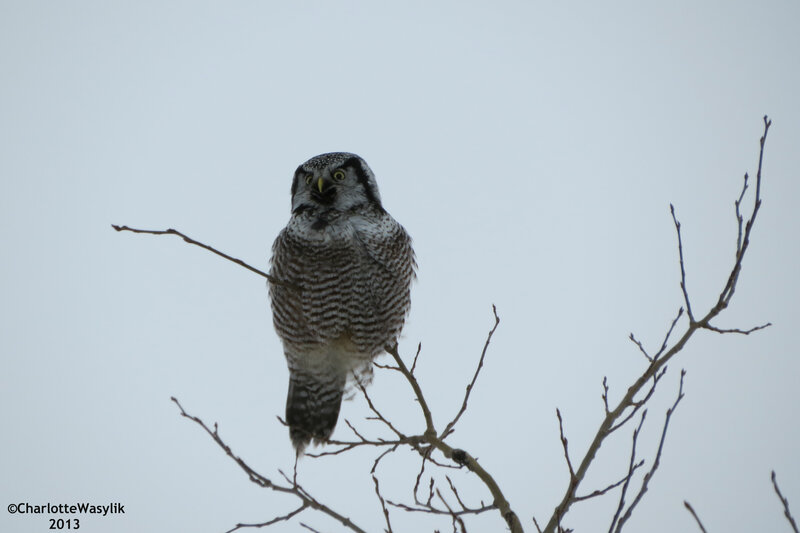 On December 30th, 2013, I spotted a Northern Hawk Owl sitting in a tree in the woods as I went to check on the horses in the pasture. 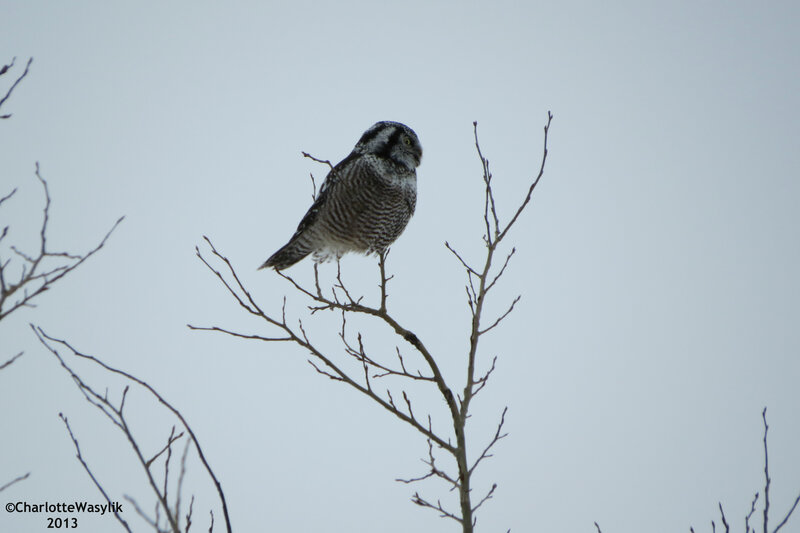 It was the first time I had seen a Northern Hawk Owl, and a great lifer to end the year with. I was able to get quite close and watched the owl for quite a while until it flew higher up in the trees. Unfortunately, because I’d gone out to do chores, I didn’t have a camera with me. I was hoping to get another opportunity to see and photograph this beautiful bird. 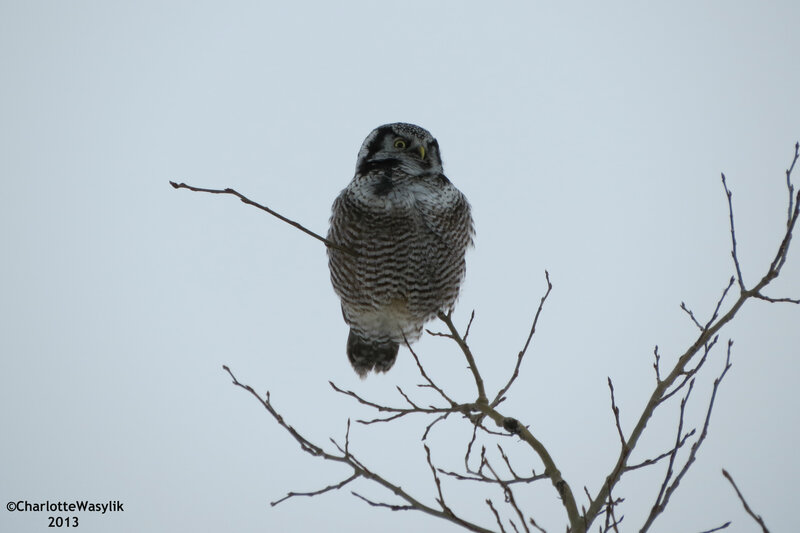 On January 11th, I was doing evening chores when I saw a Northern Hawk Owl sitting in a group of trees at the edge of a field. I was very excited, but again didn’t have my camera along. I quickly jumped in the truck and drove back to the house for my camera. 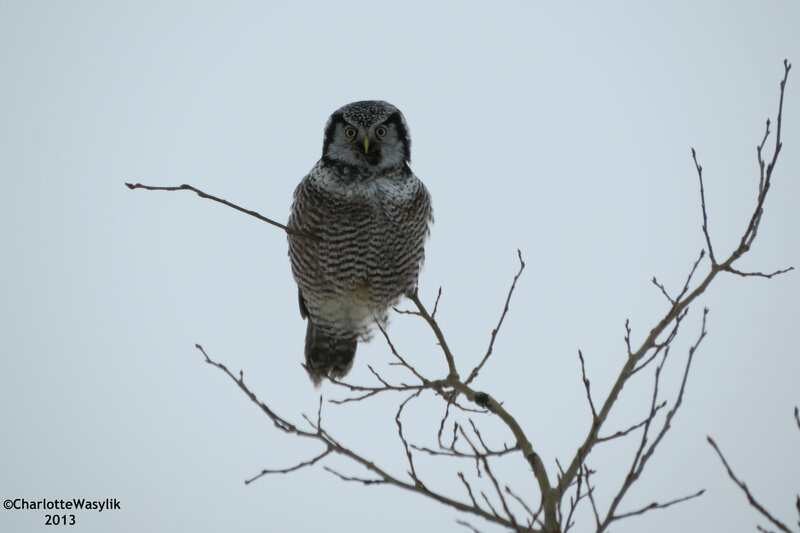 Fortunately, the owl was still in the trees when I returned so I was able to get some good photos. :: As Arctic sea ice melts, the polar bear’s diet is changing, eating more vegetation and Lesser Snow Geese, and fewer Ringed Seal pups. :: From Maureen at Hipster Birders: Duck, Duck, Goose! :: Canadian Prime Minister Stephen Harper is starting a visit to Israel, where he will visit the newly renamed Stephen J. Harper Hula Valley Bird Sanctuary Visitor and Education Centre, located along a migration route in northern Israel. :: From Nathan at The Eyrie: Open Mic: Hog Island Adventures! 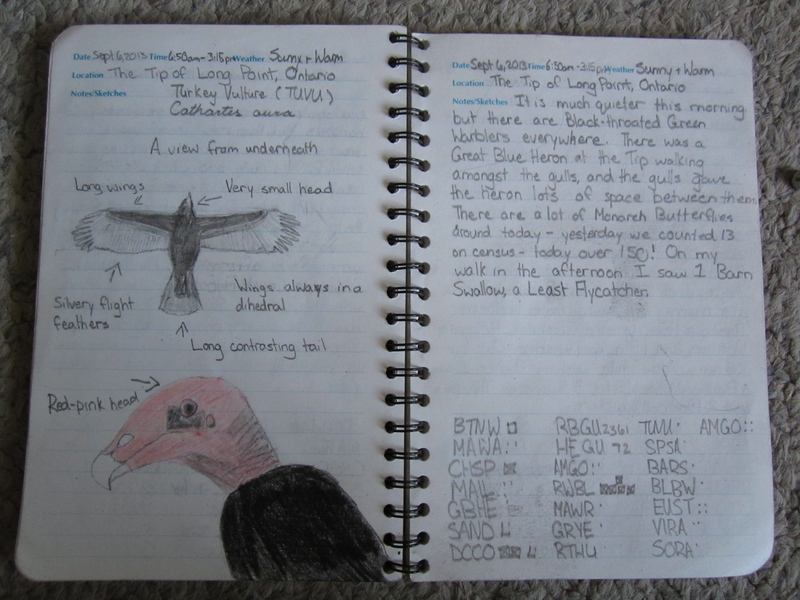 Prairie Birder is on Facebook! I just created a Facebook page for this blog, so please come visit and “Like” the page. 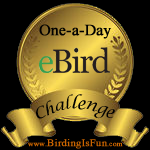 I share bird-related stories, blog posts, and all things bird!